Nintendo recently shared its latest financial results, providing us with sales-to-date figures for its current hardware and software lineups. We've already seen a list of the Switch's million-selling games, but which games are sitting at the very top of the 3DS pile? Well, just before we share that exciting list, let's explore how the console is performing on the whole. The 3DS family of handheld systems has generated 72.89 million lifetime sales since its initial launch back in 2011, making it the fifth most popular Nintendo system of all time behind the Nintendo DS, Game Boy/Game Boy Color, Wii, and Game Boy Advance. 5.81 million of those sales came last year, with 32.74 games being shifted in that year, too. The total software sales figure now stands at 367.84 million games sold. Seeing Mario and Pokémon dominate that handheld list comes as no surprise, although a lack of other top franchises such as The Legend of Zelda not breaking that top ten is a little shocking. With games like Ocarina of Time 3D, Majora's Mask 3D, and A Link Between Worlds on the system, we thought that one of them might just have grabbed that final spot. Are you surprised by any of these top ten 3DS games? 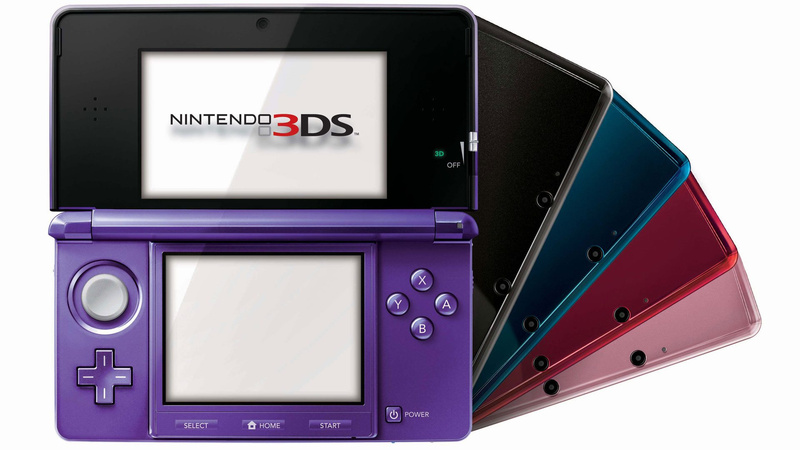 Do you think the 3DS deserves the level of success that it has achieved so far? Share your thoughts with us in the comments below. It's not gonna change anytime soon, unless a mysterious pokemon game appears from thin air. Good list too. As I am one of the few Tomodachi Life appreciaters, the game is a nice cap. Surprised A Link Between Worlds is not up there. Just goes to show how many ridiculously popular and great franchises Nintendo has up it’s sleeve. @ieatdragonz : They may as well have made a 3DS port of Let's Go as it seems significantly less sophisticated than the Gen VI games, let alone Gen VII. @Silly_G I know that sounds like a valid buisness strategy, but imagining a pokemon game with four different possible copies gives me nightmares for the parents. Hell, my sister would probably buy into it. For now, I'm thankful the less sophisticated Lets Go is console exclusive. Though, imagine if it was a theoretical third version, what pokemon could it even be? Jigglypuff? Clefairy? Its like being the youngest child and getting the worst of wear handmedowns haha. Surprised there's no Zelda. Ocarina and LBW were great (didn't play Majoras). Also surprised no Fire Emblem title was there. No samus returns 😱metroid doomed! @sandman89 I know you're joking, but now you got me worrying. How did Samus Returns sell? From my knowledge, none of Nintendos quaterly reports had even mentioned the game. Does it fall out of Nintendos report because of Mercury Steam not being true first party? I really do hope it was a success. Third favorite game of 2017 behind Mario and Zelda. Im am 2000% sure Metroid Prime 4 will do better considering the state of fps, the console its on, the influx of more mature game buyers, and its recognizability (even people who never playd Prime got hyped). Ive posted three text walls in this article alone lol. I just love talking about the 3DS. Its life is almost over, why not reminicise? I'm honestly surprised Tomodachi Life sold so many copies. Didn't think it was that popular. @Anti-Matter Fantasy Life was so so good! I truly hope there is one planned for the Switch. I heard they had a mobile game planned but I really hope not. I don't like gaming on my phone. @ieatdragonz : I think Clefairy, Jigglypuff, or hell, just for funnies, Magikarp would have been better options as the second version over Eevee. Without the ability to evolve Eevee, the most appealing thing about the Pokémon is rendered null and void. Clefairy would have been a nice choice, I think. It would have brought things full circle by having it release alongside Pikachu as Clefairy was once considered to be the series mascot. I think they played it far too safe with Eevee, who is relatively banal in comparison. @Silly_G I'm holding out hope for a Magikarp reversible cover. I remember debating with someone who told me that Animal Crossing wasn't a major release and didn't have "system seller" power. Given that it's right up there with Mario and Pokemon, I beg to differ. New Leaf still charts in Japan almost every single week. I find it amazing that Nintendo didn't flex the Animal Crossing muscle this year on Switch, it would sell systems for sure. Perhaps the mobile game releasing this year pushed it back. If I recall correctly, it was a big hit in Europe and Japan. @ieatdragonz Keep sharing; Its a wonderful machine! @Silly_G I can see your reasoning, but here's why I think Eevee is a more interesting pick. As far as starters have gone, it has been the typical fire water grass, with pikachu being the exception. Eevee being a normal type breaks that mold and is not a bad choice for a new type to experiment with. If Jiggly or Clefairy were still normal, that would be great, but as they are fairy types now, it just feels weird and especially so in a gen 1 remake (a gen where fairy didnt exist). Magikarp though? Would be not only a brave decision, but one that would be successful. Kids are quirky, they dont just simply want the cutest fake animal, magikarp would be a fun and memorable pick. @Anti-Matter Interested to see you rate Fantasy Life so highly, it's in my backlog and I'm going to play it soon. I can understand Mario games are high but I never play them except when I had Famicom 20 years ago. I like looking when other players are playing them but I personally can't play Mario games. Except Mario Kart perhaps. I'm mildly surprised to see Tomodachi Life on there but otherwise this is pretty much what I expected. There are so many good games though that it would probably be a different list tomorrow. There are still several 3DS games I want to play but haven't yet, so I'm sure this list will be different in a couple of years. @Dogorilla nice going on that Internet Browser! BTW my top 10 most played isn't my top 10 favorite either, but it is a fun statistic. My no1 is fire Emblem Awakening for a looooooot and I don't consider ir my favourite game, however it got me thinking about getting FE Fates, since I clearly love playing strategy games. My top 3, i can't decide the order after this though, infact even the top 3 was kinda hard. The problem with my top 3 or even a top 10 is i have about 15+ other games that i enjoyed and 4 of them as much as each other, Star Fox 64, Luigi's Mansion: Dark Moon, Super Mario 3D Land and Mario Kart 7, and unfortunately any one of those would break my top 3 if it wasn't for the other. Can't choose so thats the best i can give. And yes, if you haven't figured it out, Zelda is my favorite Nintendo franchise. Not a single third party title made it up there and people wonder why third parties stop making games for Nintendo systems after one or two releases. I think what I wanted to convey was, Nintendo have so many franchises not included in that list (Zelda, DK, Luigi’s Mansion, Monster Hunter, Metroid, Fire Emblem etc.) that I would have thought would be on the list. So it was surprising for me to see games I didn’t expect to be as popular to outsell them; therefore reminding me how many popular franchises Nintendo have. Where is Luigi's Mansion Dark Moon? I'm surprised by no Zelda at all or FE Awakening. Or 3rd party games for that matter. I thought that would be up there! Ocarina of Time 3D is the 11th best-selling 3DS game and has sold nearly 6 million copies, which is an amazing figure for a remake of a 7.6 million seller on the N64. Of course, a good deal of those sales come from the 2DS bundles, but nevertheless, it is by far the best-selling handheld Zelda game (excluding Breath of the Wild, obviously). Other than that, the list of Top-selling 3DS games is pretty much expected - a ton of Pokemon, Mario Kart, NSMB, 3D Land, Animal Crossing, Smash Bros, etc. Tomodachi Life's success is amazing for the type of game it is. There needs to be a sequel on Switch sooner that later as the game is hugely popular in Europe and Japan. 3DS was my favorite console for 5 years. I still love it. It clearly shines. It is an RPG lovers dream. One of my favourite systems of all time. Oh man, even an unpopular Pokemon game that almost nobody I know owns sold close to 8 million copies. Pokemon Let's Go! is tear the charts apart in November worldwide (aside from the UK, where all they buy are Crash Bandicoot, GTA V, and soccer games). @Al_Godoy I belong to the rather small demography of Nintendo 3DS owners, that mostly prefer playing 3rd party games on the platform (which probably shows in my list). Those Pokémon numbers disgust me with how mediocre the 3DS era games were, but everything else is about right. @Balta666 Yeah, I know the situation. Theres a reason why the series took so long to come back. I have already conceeded the fact that Japan will never fully appreciate the games, but imo, the other games in America were just due to mistimming or lack of advertising. Thankfully word of mouth has been Metroid's kindest friend. Switch will lilely be over gamecube numbers by the time Prime 4 comes out, and surpass the sales of any game in the series (except maybe the original). Its also the best fitting console thus far for any 3D immersive game. Just, you know, I feel bad for Samus Returns. Just like so many Metroid games, it was doomed by the moving audience and some bad press (amiibo content locking). At least MercurySteam seem pretty happy about it (from an article a sometime in July). @SethNintendo True, it's not very good relatively speaking, but it works fine with web sites it can actually load. I personally find it perfect for reading online fan fiction while lying in bed or on a couch. Those aren't surprising when you consider the long-lasting popularity of many of those franchises, plus some of those games were bundled with systems as well. My red OG 3DS shipped with a physical copy of Super Mario 3D Land back in early 2012. I am kinda surprised that there's not a Zelda title in the top ten, but I bet they would have sneaked into the top 20. By the end of March 2018, Metroid Samus Returns had yet to reach 1 million copies shipped. Level-5 had released Fantasy Life 2 & Fantasy Life Online on mobile. Hopefully they port Fantasy Life 2 & Fantasy Life Online to Nintendo Switch. @Anti-Matter Interesting, I'm guessing they haven't released it outside of Japan just yet. I found an article stating Fantasy Life Online released in Japan at the end of July. It’s really popular in Japan and Europe. And it did solid in America too. Zelda sells systems and is a critical darling and always does well In Sales...but it doesn’t hit as wide an audience as Mario, Pokemon etc. BOTW is the first Zelda game that is looking to sell on par with Mario Platformers, Pokemon and the like. 9.48 Million(Switch version alone) and it’s not losing any momentum at all. However as of March 31st 2018 Ocarina of time 3D was at 5.60 Million in sales. Behind only Luigi’s Mansion Dark Moon netting it the #12 spot. We haven’t had a sales update on Link Between world since March 2014 but I dare say with it getting a Selects release(In Europe a couple years back and America early this year) and a hardware bundle at GameStop, as well as being freakin Zelda it’s probably not too far behind OOT. Link Between Worlds current sales are likely several places up though. Co-signing the "Tomodachi Life was the surprise here" comments. Based on overall impressions, I'd say Fire Emblem Awakening and Shin Megami Tensei IV are the absolute must-haves I'd recommend to fellow 3DS owners, I keep going back to them over and over. I'd add Pokemon ORAS as the token 3DS Pokemon to finish off my top 3. @Silly_G Jigglypuff (or Meowth, let's be honest) would have made so much sense as the second Let's Go mascot; just off the anime it's the most memorable Gen 1 mon besides Pikachu and the 3 starters, enough to also completely eclipse its evolution (like Pikachu). The no-evolution rule is why I'm a bit confused over Eevee. Oh, and Magikarp should definitely be the contender for a potential 3rd version. @NatalieH Nice to see some hidden gems in your list like Mutant Mudds, Pilotwings Resort and Sonic Lost Wold. Haven't played VVVVV yet but got it on Switch recently so looking forward to giving it a go. I think I only have one of those games. Guess I'm not a top tenner? I’ve always been a bit surprised by how well Tomodachi performed - not that it is a bad game or anything. I am surprised to see Tomodachi Life of all things outsold Zelda a Link Between Worlds and Fire Emblem Awakening. The Mario game where you just spam coins selling more than 3D Land is tragic. Anyone know how the ratio between sold 1st party and 3rd party games on the 3DS is approximately? It must be at least 3:1, which is pretty crazy when you think about it. But that's the power of Nintendo i guess. Edit: Well, if we look at the Switch, Nintendo's million selling games have sold 47.53 million out of a total of 86.93 million games sold and that's not counting the likes of Bayonetta 1 + 2, Hyrule Warriors: Definitive Edition, Snipperclips, Sushi Striker and Fire Emblem Warriors. This means that approximately 55% of the games sold are Nintendo 1st party (or to a small degree 2nd party) games and when you take into account that Indie games are very popular on the Switch, then probably at least 3 out of 4 of the 60$ variant of games sold on the Switch are Nintendo games. So we can probably conclude that the same can be said about 3DS games. Never understood the Pokemon craze. @MaseSco You need to play Majora's Mask. It is better than Ocarina of Time, in my opinion. @retro_player_22 @SethNintendo @Turrican280 @shgamer This is only first party games to show off that Nintendo games are selling well. Nintendo doesn’t include third party games in their financial numbers. @Mrtoad yeah, they do if they sell 1 million copies, but as you see, the highest selling games on Nintendo systems are Nintendo owned IP's. That's just the way it is, people buy Nintendo systems for Nintendo games, not 3rd party games, and that's why they don't sell, which is why they don't get listed in the top 10. @MoonKnight7 yes, and no. Yes, it's a system seller, but to a VERY specific demographic (Japanese females). The highest sales for every handheld variant have come from Japan, and something like 70% of that group is female. That's why when Kimishima said they needed to find a way to sell Switch to more Japanese females, it's like uh, Iwata knew how to do it- MAKE A DAM ANIMAL CROSSING GAME!! @pika677 This isn’t a list of million sellersthough this is the top 10 best selling Nintendo published games for the system for investors. We know that at least 3 3rd party Switch games have reached one million copies sold, why weren’t they on last quarter’s charts hmmmmm? And to say why is because they didn't sell 1 million copies, Lego did, and is listed, others within the fiscal year didn't. @Mrtoad and to answer more clearly, if the game doesn't sell 1 million within the fiscal year, it doesn't get listed, 1 million is the threshold, so unless it somehow manages to outsell 1st party Nintendo games on a Nintendo system, the fiscal year 1 million sales is the only way it's going to get listed. Lego City Undercover proves it, selling just over 1 million units in a fiscal year for 3DS. @pika677 LEGO City Undercover was published by Nintendo on 3DS and Wii U, but nice try. And again this isn’t a million sellers list this is a top ten best preforming first party games, not a complete million sellers list. EDIT: I really screwed up the wording of this. I meant it more as that a second or third party was as worthwhile for Nintendo’s financial reports as a first party game, but man I made it sound like publishing a game automatically made it a first party game. I’m sorry, if I confused anyone and hope that I did not spread any misinformation. I’m sorry for being both tired and an idiot. Oh, and what is the title of this again? It's A THIRD PARTY GAME, PUBLISHER DOESN'T MEAN DEVELOPER, PUBLISHER IS PLATFORM!! @Mrtoad good job showing everyone how ignorance can be cured, but stupidity cannot. @stache13 It's on my list. After I finish Bravely 1 & 2, Project X Zone & Luigis Mansion 2. And, I didn't really expect the remakes of Zelda games to top the biggest new first party games on 3DS, but it would have been nice if A Link Between Worlds had made the list. Although I expect the kind fugly art style put off quite a lot of people. If they had made that game look like the current Pokemon Let's Go games, albeit in lower resolution obviously, then I really think it would have made this list. I believe ugly visual choices really can have a huge impact. Huh but thanks for being civil about the whole thing. 3DS. It's the Pokémon platform! I love the comments from people who think that the lack of 3rd party-published games in a list of top-selling 1st party-published games means that no 3rd party game sold well on the 3DS. The same applies to the comments on the article about the best-selling Switch games. Some people either need to read or stop trying so hard to bash Nintendo's success. @westman98 If I could “love” this comment 100 times I would. @nintendoPLAYROOM It was released. Last week, I think. Several Fantasy Life player groups on the Internet have already tried it out. @SethNintendo No I still feel that third party games deserve better. Seeing 1st party titles hog the entire top 10 is not an interesting thing to see. It's like seeing a kung fu movie with the entire top 10 cast as a bunch of white actors when some Asians could had made to the list. And Fire Emblem Awakening is better than all of them.